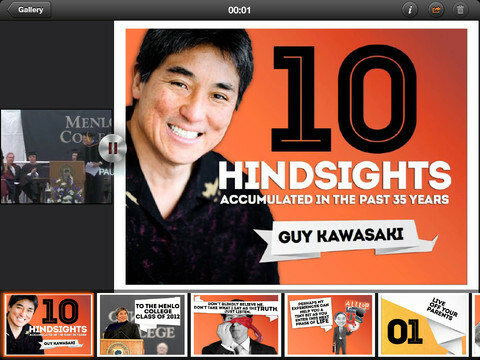 9SLIDES iPad App from Ruchit Garg on Vimeo. 9SLIDES(official site here) is an iPad app by Ruchit Gargthat lets users insert video or audio commentary to their presentation slides directly from the iPad. 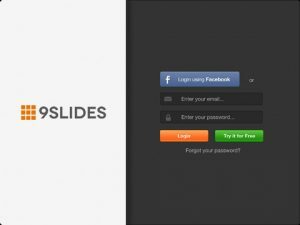 Featuring an elegant design and great functionality, 9SLIDES is a very helpful app for students and professionals alike. Using 9SLIDES could not be more simple. Simply import your Microsoft PowerPoint or Adobe PDF files, and record your A/V components. You can import from services such as SlideShare, Google Drive, Dropbox, or BOX. Once you have your final slides and recorded content, it takes just a few minutes to upload the files and synchronize them together. 9SLIDES is a cloud-based solution that offers a whole host of great features. Not ready to share your project with the world? You can password protect your slides. Want to know how many people have viewed your multimedia presentations? There are viewer analytics! However, you have to pay to get some of these cool features. While you can absolutely use this app for free, some users will want to upgrade. A Gold Subscription (costing $9.99 per month) will enable users to have 10 talks per month (5 more than the freebie lovers get.) Gold members get analytics, password protection, and an ad-free player. If you want unlimited talks, you’ll need an Enterprise account, which has custom pricing based on the needs of the user. Perfect for creating webinars, developing inter-office training, or sharing lectures for students, 9SLIDES is a simple app with dozens of applications. The developers particularly recommend 9SLIDES for great tool for Sales, Education, Training, and Executive communications. You can also use it as a tool for pitching your products and services to investors. However you end up using it, the important thing to take away from this review is that actually USING the 9SLIDES app is very simple. 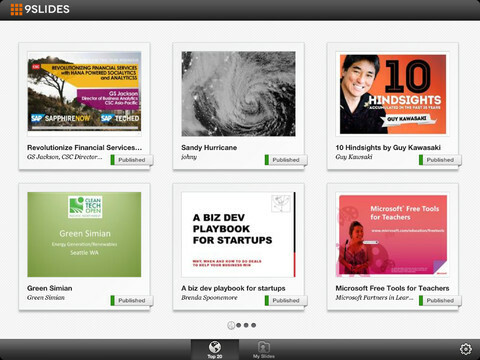 9SLIDESis compatible with iPad. Requires iOS 5.1 or later.